I know it seems strange to group these foods together but they do have something in common. They’re all seeds capable of producing a new plant. And, they all contain enzyme inhibitors and plant toxins called phytic acid that protect them so they can germinate sometime in the future to produce that plant. What does that have to do with eating them? Well, those toxins are not good for us. 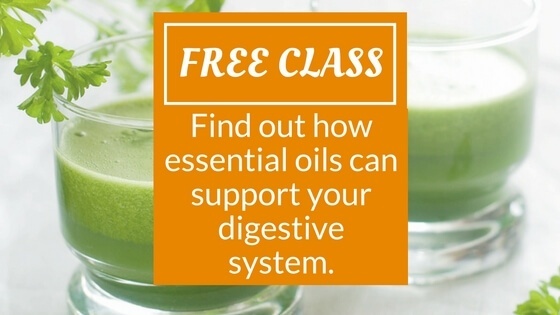 They’re difficult to digest and can prevent absorption of nutrients in our digestive tract so they need to be neutralized. In addition, we really don’t have the digestive power to properly break down a raw plant seed and thus don’t have access to all the nutrition that the seed contains. Sprouting gives us more vitamin C, B2, B5, B6 and carotene. To solve this problem, we can look to the work of Dr. Weston A. Price and his study of traditional cultures. He traveled the world looking for the ideal diet for vibrant health. One of his discoveries was that traditional cultures employed techniques to disable plant toxins and make the most of the nutrition within each seed. Today we call this sprouting, soaking and fermenting or souring. This may sound difficult but it’s actually easy and very rewarding. For a little extra effort, you’ll get better tasting and more nutritious food. Let’s start with grains. 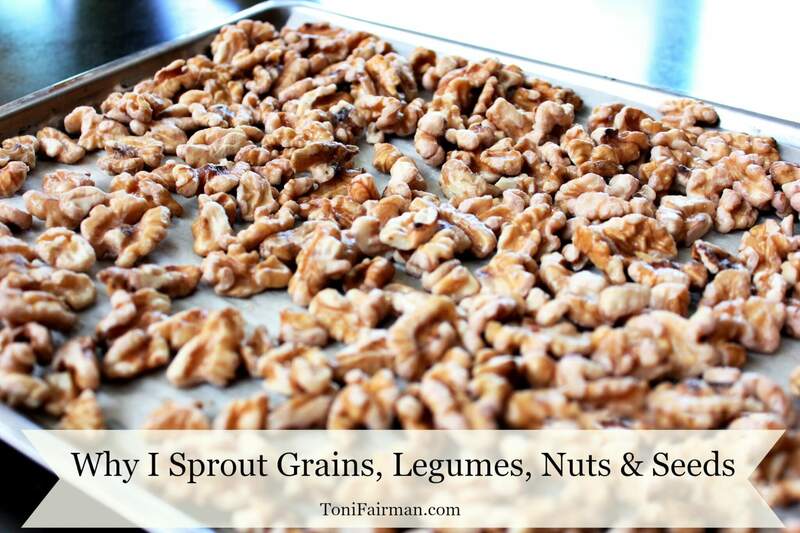 Sprouting grains takes a little planning but not much extra work. For example, if you want to make muffins in the morning, combine the flour with buttermilk the night before and leave on the counter to do its work. In the morning, combine with other ingredients and bake. Oatmeal is combined with half the cooking water and a little yogurt or lemon juice and left out overnight to predigest the phytic acid making your morning bowl of oatmeal more digestible, better tasting and more nutritious. It cooks faster too! There are minor differences in the way each type of grain is brought to life but the important thing is understanding that this is a necessary step for optimal health. Nuts and seeds can now be purchased already soaked and dehydrated but they’re very expensive. I like to prepare mine at home which gives me some flavor flexibility. Here’s the basic process: 1) soak nuts/seeds overnight in spring or filtered water with about a tablespoon of sea salt 2) drain, rinse and place on cookie sheets in the morning 3) dehydrate in oven at 145 degrees for 4 to 8 hours until just crisp (cooking time depends on hardness of nut/seed). If your oven does not go as low as 145 degrees, you can use a dehydrator. The flavor flexibility comes when I add garlic powder, sea salt or any spice to sunflower and pumpkin seeds while in the oven. I generally leave nuts plain so that I can use them in any recipe but you can be creative here. A little cinnamon and nutmeg on pecans is delicious! These nuts/seeds should be stored in the refrigerator in an airtight container. Legumes should always be soaked before cooking. This step is sometimes skipped with lentils because of their size but it’s best to soak them to remove the phytic acid. Rice should be soaked too. Detailed instructions and recipes are available in the traditional foods classic cookbook Nourishing Traditions by Sally Fallon Morrell, founder of the Weston A. Price Foundation. This book is the best place to start when moving to a whole food, nutrient dense, properly prepared diet. I would love to hear about your adventures in sprouting! Please come over and share your story in the comments below or over on Facebook.